I am a passionate devotee of Sauvignon Blanc the world over and this has clearly been the most exciting development over the past five to seven years in Chile. One could also say that this is arguably the country's top performing variety now, though you'd certainly get an argument from Cabernet Sauvignon producers. The turnaround has been the result of planting the finest French and American clones in the coolest climates, from Casablanca Valley to San Antonio and Leyda (a sub-zone of San Antonio) near the Pacific Ocean. As a whole the wines show beautiful varietal purity, from spearmint and melon in Casablanca to kiwi, pink grapefruit and gooseberry for the San Antonio examples. These three wines are exceptional and offer great evidence of the brilliance of this variety in Chile. The Amayna, from immaculately farmed vineyards at this gorgeous estate less than seven miles from the Pacific offers intense gooseberrry and stone fruit flavors, lovely texture, vibrant acidity and great persistence in the lengthy finish. Winemaker Claudia Gomez has made this wine into one of the top four or five in the country by emphasizing the influence of the razor's edge climate in Leyda. At a suggested retail of $20, this may be the finest Sauvignon Blanc value in the world. Chile's own grape, Carmenere is finally starting to realize the promise it can deliver. Originally confused with Merlot, it has now been 15 years since it was correctly identified as a separate variety that had been brought over from Bordeaux in the nineteenth century. 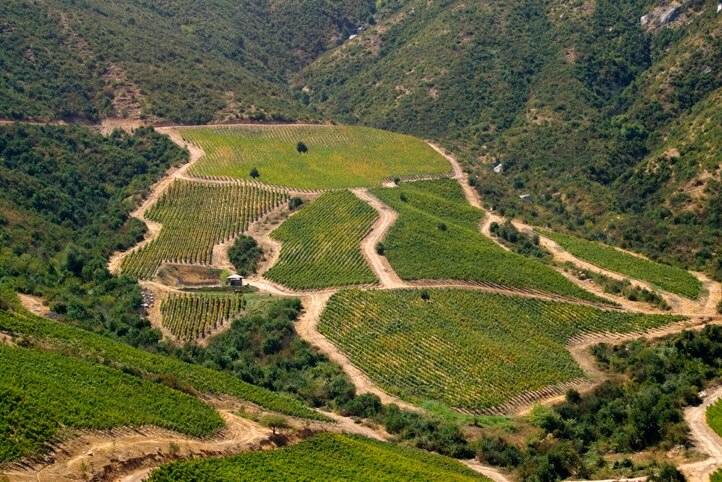 Growers now plant Carmenere in better sites, as they realize the grape needs a warm climate to ripen fully and display its fruit as well as signature spice (Colchagua Valley has become a leading area for the grape.) Too many versions in the previous decade were overly herbaceous, but more and more versions now display proper ripeness and well as excellent complexity. The Santa Rita is ont of the most intense examples of Carmenere in the country; this could become one of Chile's signature wines. For me, the Errazuriz is the most pleasant surprise; this is a dynamic wine - big and bold with great spice. What a powerful wine that offers superb balance! This should peak in another 7-10 years and it is an amazing value for $20. You'd have to spend two to three times that for simiilar quality from a Napa or Bordeaux red. While Syrah has really never caught on in California, the variety is becoming more important each year in Chile. "You will see a lot of Syrah in Chile in the coming years," Alfonso Unduraga, commercial director for Koyle, a new wine project, told me. "The wines have beautiful color and structure." Each of these wines offered very good ripeness and balance with good varietal character. To me, these are crowd-pleasing wines, as the are rich and ripe without the tannic bittterness of a young Cabernet Sauvignon. The Amayna, from a very cool climate, displays bright fruit and sleek acidity. Look for even bigger and better things with Chilean Syrah. The Peñalolen is a particularly flavorful wine for the price and offers nice richness, while the Santa Ema has a silky elegance with the Santa Rita Casa Real displaying the breeding and structure of old vines in the heart of Maipo Valley. There was an excellent array of wines in various price ranges and styles; overall this was a noteworthy presentation of the state of Chilean wine today. However, I wish more winery representatives from Chile were in attendance! 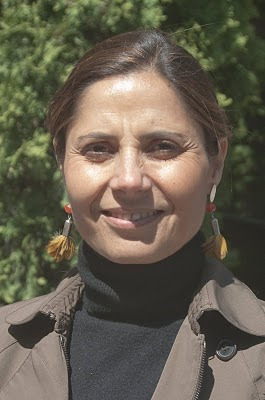 I realize that harvest is still going on in some regions, but Claudia Gomez did attend, so I thought there might be other winemakers as well. However, if harvest is a problem, perhaps the tasting should be moved one way or another. 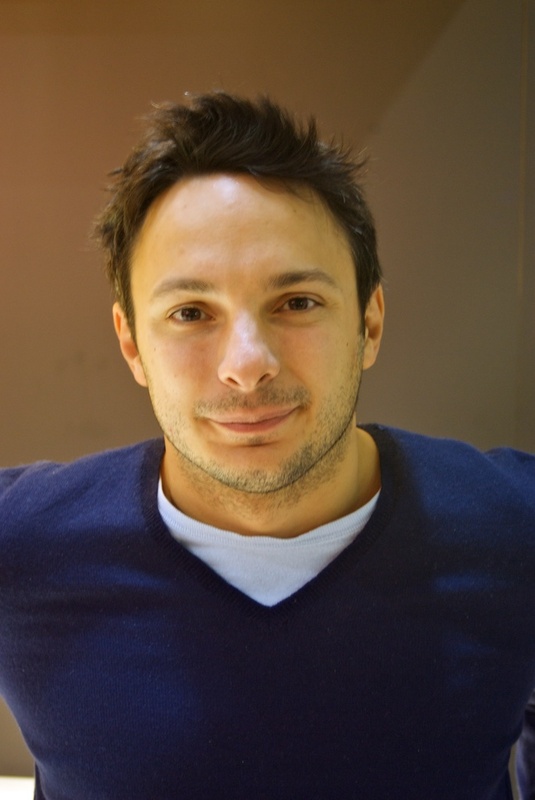 Several wineries sent along a commercial director from Chile in lieu of their winemaker, which is just fine, as these people deal with the wines on an everyday basis. Kudos to Santa Ema, Santa Rita and Koyle, just to name a few, for doing this. But too many wines were being poured by distributor salespeople. Most were helpful and could answer my questions, but let's face it, these people, no matter how knowledgeable, are not directly tied in to the wineries. I realize that as a writer, I have a lot of questions and attend an event such as this to make contacts in the business. But I have to think that consumers who attended the tasting later in the evening, also want that personal touch. You want to see the Chileans who work with these wines on a daily basis, not a local salesperson. I realize that it's impossible to get every winery set up that way, as personal schedules sometimes get in the way. But attend most specialized tastings of French and Italian wines and you get those individuals to show up and pour their wines. The same should be true for the Chileans. Chile clearly has world-class wines, but the fact of the matter is that there just isn't the excitement caused by these wines, as with bottlings from Napa Valley, France, Italy or Spain. Maybe that's not fair, but that's the reality. So the Chileans need to go first-class with their events and do all the can to get the trade and consumers excited about their products. One way to do that is for winery associates to attend the tastings and press the flesh. People love that immediacy and they can identify an individual with his or her wine. They can't do that with a local salesperson. In all, more than 40 Chilean wineries will pour their latest releases. This tasting - with most of the same wineries - will be held in San Francisco two days later on April 29. 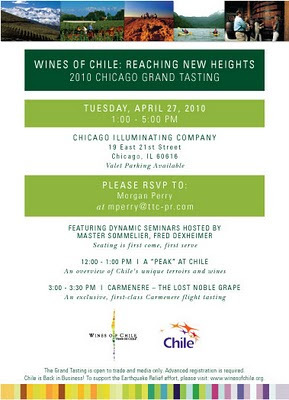 I hope to see you at the tasting in Chicago on April 27! On the Sunday evening of VinItaly, I accepted an invitation from Lidia Bastianich to have dinner with her as well as a dozen friends and family. I actually was a little bit run down from three non-stop days at the wine fair, but how could I say no? It’s not very often that you get this kind of opportunity. This was a unique dinner and not the usual one that is organized during VinItaly. Instead of heading to a restaurant in Verona that would be crowded and more than a bit noisy, Lidia rented out several apartments in a B&B in a small buildng near Piazza Bra, one of which served as our dining room, located just a few feet from the small kitchen where three chefs worked on the dinner. 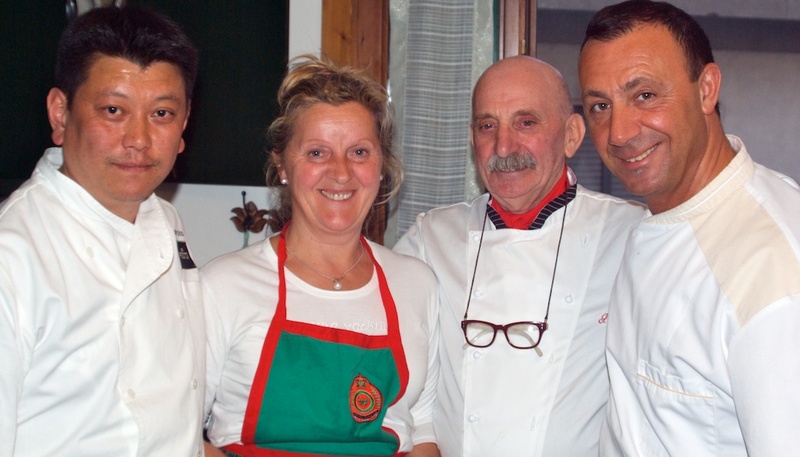 Lidia had enough to do organizing everything as well as serving as host, so she brought in a chef from Piemonte (Cesere Giacone) as well as two chefs from restaurants in New York owned by her son Joseph and herself (Alex Pillas from Del Posto and Fortunato Nicotra from Felidia). Unfortunately, Joseph could not attend, as he was filming a new television series in California. As we sat down for dinner (I was sitting next to Lidia, thanks to her seating arrangement), Lidia mentioned that this was a simple dinner for some friends of the winery and indeed this was a lovely evening with honest food, beautiful wines and good conversation. We enjoyed a primi of risotto with Montasio cheese, pears and celery and then a pasta of pappardelle with salami and squab followed by spit-roasted young goat with Albena artichokes (among the best I’ve had). We finished with some lovely ricotta cheese with strawberries as well as a delicious zabaglione that incorporated a Moscato d’Asti. Paired with the food were Bastianich wines from their Friuli estate as well as two reds from Brandini, Joseph’s new winery in La Morra in the heart of the Barolo zone in Piemonte. The Vespa Bianco, a blend of Chardonnay, Sauvignon and Picolit has become one of Friuli’s most consistent whites and as we learned from tasting the 2004 and 2005 vintages, it is a wine that ages beautifully. The new Brandini wines were excellent, both a charming 2009 Dolcetto d’Alba and the soon to be released 2006 Barolo. 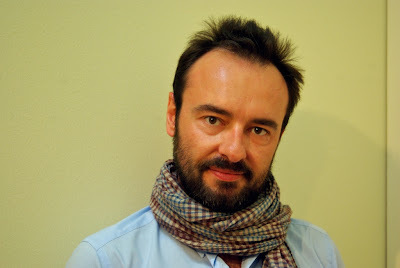 Given what Bastianich has done in Friuli, there is no reason to think he won’t be as successful at his new venture in the Langhe. A wonderful night with a wonderful lady. We’re all so lucky to be able to share her world through her television show and I consider myself extremely lucky to know her, especially now after this evening. One final thing: before dinner, as we were waiting for guests to arrive, she asked me when I was going to visit the winery in Friuli, as they had a guesthouse I could stay at for a few days. As if that wasn’t enough, she also invited me to stay at her home in Istria for as long a two weeks! How kind! – I'll have to start rearranging my calendar! 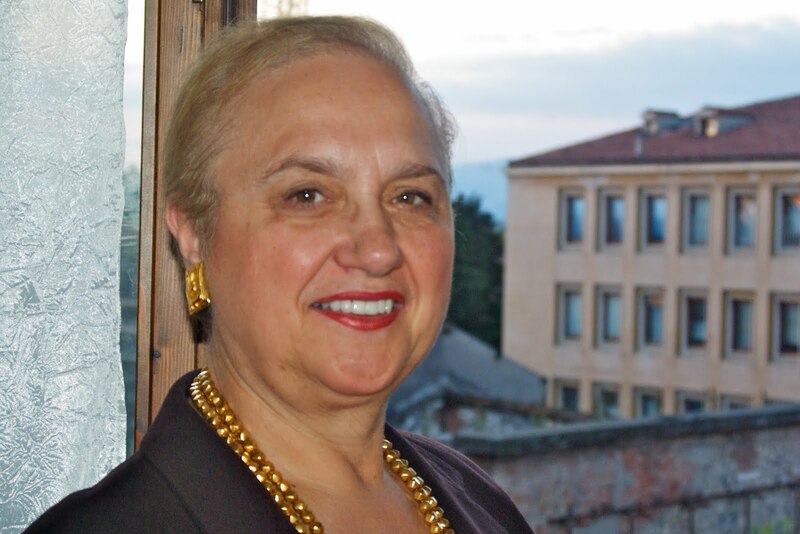 How truly gracious Lidia Bastianich is and I hope Joseph and she enjoy even greater success in the future – they’ve earned it! A special thank you also to Wayne Young from the Bastianich Winery in Friuli for making this dinner a reality and for passing along the invitation. Terredora Greco di Tufo "Loggia della Serra"
Many of the newest releases are from the 2006 vintage, a very good vintage. The regular Tedeschi bottling is rich, spicy and gusty, but above all, well-balanced, while their “Monte Olmi” offers more weight on the palate with more pronounced ripeness. Similar notes for the Stefano Accordini “Acinatico” bottling, though fatter on the palate. Accordini has also released his exceptional "Il Fornetto" from 2004; a great wine from a great vintage. This will not be available until very late in 2010- this is a must buy for Amarone lover with its layers of fruit and intense notes of fig, date and red raspberry. It’s also interesting to note how two exceptional Soave producers have now focused on Amarone as well. Leonildo Pieropan previewed his first-ever Amarone from the 2006 vintage; the wine offers beautiful ripeness and delicate spice and is as elegant as the man himself. Ca’Rugate has produced Amarone for a few years now and their new 2007 is their finest yet. Displaying black cherry and cranberry fruit wih notes of orgeano, the wine is driven by its fruit and not by oak and is quite elegant. 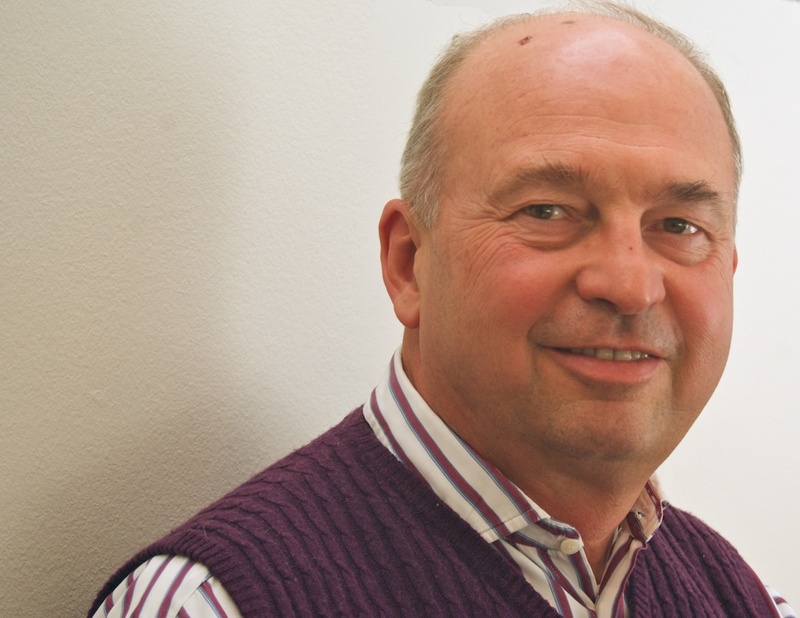 Look for 10-12 years of improvement with this wine – complimenti to winemaker Michele Tessari. I tasted a few bottlings of 2006 Barolo; the new wines will be released within the next few months. This is a big vintage and right now, many of the wines are quite tight and a bit tannic. While it’s difficult to fully appreciate these wines right now, one can clearly sense the excellent depth of fruit; this should be a long-lived vintage. As usual, the finest bottlings display their terroir; take the three offerings from Vietti. The Brunate is wonderfully perfumed with velvety tannins, the Lazzarito is much more closed with firmer tannins, while the Rocche is more full-bodied with appropriate young tannins. The always lovely Vajra “Bricco dell Viole” is excellent, though more restrained than the 2005 was at this time last year, while the Luigi Baudana “Baudana”, aged in grandi botti, is quite elegant, while still offering excellent concentration. My two favorite 2006 Barolos I tasted at VinItaly were from Oddero; the Rocche di Castiglione with sensual red cherry and orange peel notes and the Villero, a spicier and more powerful bottling that is no less elegant. I hope many more of the 2006 Barolos I will taste in May in Alba will offer the balance and finesse of these wines from Oddero! I tasted a few dozen of these wines in February in Chicago and New York; this was my chance to try some of my favorites I missed. While these wines may be a slightly more difficult sell comig after the celebrated 2004 vintage, this is an excellent vintage overall, with beautiful varietal character and lively acidity. Among the very best I tasted were the Stella di Campalto, Talenti, Le Chiuse, Col d’Orcia, Innocenti, Ciacci Piccolomini, Fossacolle and these three I rated as outstanding: Il Poggione, Pian dell’Orino and Il Palazzone. Finally, a few words about a sparkling wine I love, but don’t get ot try often enough and that’s Franciacorta. Only a few brands, most noticeably Ca’ del Bosco and Bellavista are imported into the United States, which is somewhat understandable (especially now during the worldwide financial mess), but still a shame, as the finest efforts are distinctive and very special. I mentioned the amazing 2002 Bellavista “Vittorio Moretti” bottling in a separate post on my other blog; a few other excellent bottlings include the 2006 Camossi Extra Brut (their first Millesimato) the 2006 Saten from Il Mosnel and two very distinguished bottlings; the 2004 Guido Berlucchi Palazzo Lana “Extreme”, a 100% Pinot Nero with a lengthy, persistent finish and the full-bodied Brut normale from Enrico Gatti, a wine that is better than many top bottlings from other Franciacorta firms. 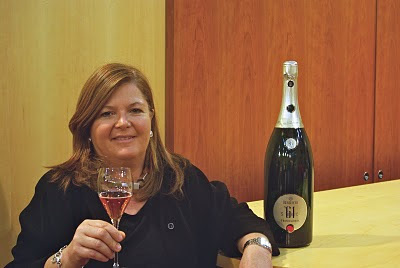 Here’s hoping that we see more examples of Franciacorta come to the United States! In a few days, I am off to Verona for VinItaly, the massive wine fair that takes place for five days in early April. I don't attend every year, so I greatly look forward to being there after missing last year's event. Now I was warned before I went for the first time some seven years ago that the place is too crowded, too noisy and basically, a zoo. Well, I agree with those sentiments to a point, as it is a sea of humanity and you're always bumping into people. Also with more than 5000 producers there, how do you manage your time? It's really not easy, so you do the best you can. If all of this sounds like a recipe for a bad time, well maybe it is to some people. But I tend to focus on the positives - how could I get through this if I didn't? 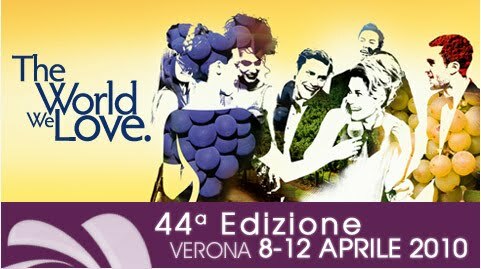 To me this is an invaluable experience, so let me list the reasons I love going to VinItaly. Yes, you read that right, a Vermentino Nero! I just received a press release from Cantine Lunae of Liguria, which produced its first bottling of Vermentino Nero, made from the indigenous variety that was thought to be extinct. They will be premiering this wine at the fair, and based on this producer's superb bottlings of traditional Vermentino, I can't wait to try this wine. It's these types of discoveries you find at the stands of so many producers at VinItaly that make this more than an exercise in sampling new releases. This may go without saying, but this fair gives one the opportunity to take a viticultural trip throughout the Italian peninsula. While I'd love to visit wineries instead of sampling wines at a fair, let's face it, how long would it take you to travel from Valle d'Aosta to Sicily (even if the trains were on time!). You can walk from one pavilion to another in just a few minutes, try each region's wines and usually do your tasting with the winemaker or winery owner. Just to coordinate all those meetings on the road would take hours or days (not to mention the wrong turns you'd probably make if you were driving). One of the wines I truly love from Italy is Franciacorta, the classy sparkling wine from Lombardia. But let's face it, most of us rarely get to try too many brands as most of the area's producers don't export their wines to America. You can understand that as many of the products are in the $35-50 range (with a few special cuvées priced above $75); in reality, most consumers are not looking for Italian sparkling wines in that price range, especially given today's economic reality. I could argue that they don't know what they're missing, but that's for another post. So I'm looking forward to tasting not only the new releases of Bellavista and Ca'Del Bosco, two remarkable producers, but also the bottlings from estates I have yet to try, such as Enrico Gatti, Ferghettina, Giuseppe Vezzoli and Camossi. After 42 trips to Italy, I've met a lot of wonderful people and made some great friendships, from estates in Piemonte all the way to Sicily. Again, while it would take weeks to catch up with all these people, I can say hello to them over the course of a few days, taste their new wines and get an honest appraisal of what's happening on the Italian wine scene. So I can't wait to catch up with Luca Currado, Alessio and Francesca Planeta, Andrea Ferraioli and Marisa Cuomo, Pietro Ratti, Filippo Antonelli, Alberto Longo and hundreds of other friends at the fair. Let's face it - not only will I have the lowdown on the new 2009 whites from Fruli, Alto Adige, Campania and Liguria, but I'll also have the opportunity to get the lowdown on the new bottlings of Brunello di Montalcino (2005) as well as the newest offerings of Barbaresco (2007) and Barolo (2006). To have this opportunity at one event is priceless. Believe me, when I return I'll have lots to write about, both on this blog as well as on my other blog, solely devoted to Italian wines, learnitalianwines.